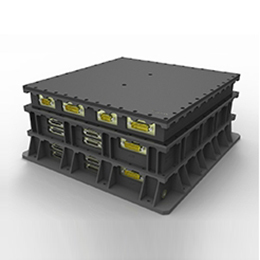 MDA Transmit/Receive Modules (TRMs) are custom designed for advanced synthetic aperture radar (SAR) antenna subsystems, and provide a technological edge for demanding remote sensing missions. 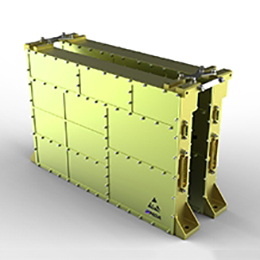 RADARSAT Constellation Mission (RCM), scheduled for launch in 2018, incorporates MDA’s advanced design and fabrication capabilities. 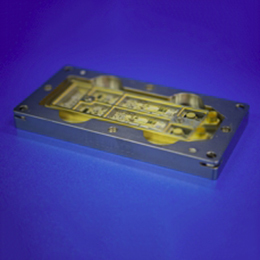 The TRMs, implemented in Miniature Hybrid Microwave Integrated Circuit (MHMIC) open-chip technology, employ an optimal mix of multi-layer technology standard, with advanced custom Monolithic Microwave Integrated Circuit (MMIC) die to achieve superior performance in extreme environmental conditions. Custom ceramic multi-layer technology High Temperature Cofired Ceramic (HTCC) packages, or metallic housings with Low Temperature Cofired Ceramic (LTCC)/Alumina, are used for packaging MDA TRMs. 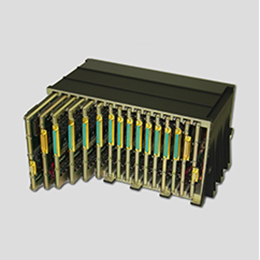 Advanced functionality is offered by implementing mixed signal ASIC or FPGAs for higher levels of integration, depending on customer requirements. MDA’s commitment to quality spans the design phase, procurement, assembly, quality control, testing, screening, and final inspection, with workmanship and part lot traceability maintained throughout the processes. 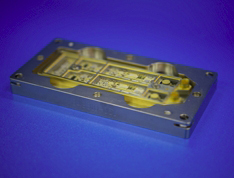 Adherence to stringent procedures ​at MDA's production facility results in very low failure rates for MIL-PRF-38524 Class H or K level modules.